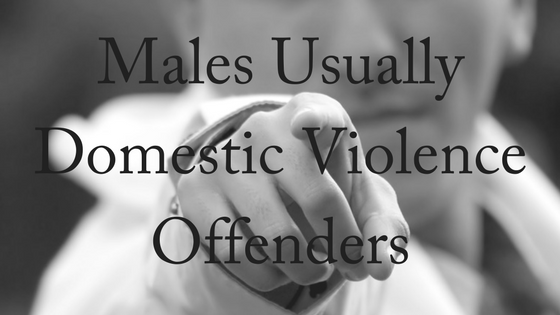 The latest Australian Bureau of Statistics report on recorded crime by offenders shows that males are overwhelmingly responsible for domestic and family violence, with the most common offence being an act to cause injury. In the five jurisdictions where data was collected – NSW, Victoria, Queensland, Northern Territory and ACT – there were more than 35,000 offenders of domestic and family violence between July 2014 and June 2015. Unfortunately, there were a number of perpetrators; both male and female. However the number of males who had committed domestic violence offences was far greater than the number of females. A person was counted as being an offender if they were recorded as having at least one selected offence that was flagged by police as being family and domestic violence related. The offences included: homicide; acts intended to cause injury; sexual assault; abduction/harassment; and property damage. The report shows that more than 19,000 people in NSW alone were deemed to be perpetrators of domestic and family violence, with four times as many male offenders (16,273) as female offenders (3670). In the ACT, there were more than eight times as many male offenders. The figures for the Northern Territory were even more alarming, with 1185 offenders per 100,000 persons, compared to NSW where there were 302 offenders per 100,000 persons. In the Territory, Aboriginal and Torres Strait Islanders represented 89 per cent of offenders. The report also showed that the age profile of offenders was similar across the five jurisdictions with the highest proportion in the 20-34 years category. The second highest proportion was in the 35-54 years age category, while those aged 55 years and over were the least represented group. 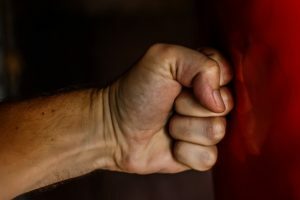 Where Can Violent Males Get Help? Breathing Space is a residential program for domestic violence perpetrators run out of a house in suburban Perth that has the backing of high profile campaigner Rosie Batty. While living in the Breathing Space house, perpetrators have four hours of group therapy per day, including parenting courses and a class called Understanding Emotions. The men split into pairs and become counsellors for each other, their conversations ranging from the recent death of a friend to their current custody battles. Co-ordinator Holly Florance said while the program was treating males, its focus was on the safety of women. You notice changes in her or her children’s behaviour. She appears frightened or anxious. She seems afraid or nervous around her partner, or needs to constantly ‘keep the peace’. She may have unlikely injuries or bruises or is often ‘not well’ or having ‘silly’ accidents. Her partner controls all aspects of her life: – finances, friends, work and social life. NSW Police has launched a powerful new video campaign denouncing domestic violence with the message, “it’s not your fault”. “Police officers attend hundreds of domestic violence incidents every day and see first-hand the impact and harm it has on families,” NSW Police Force Assistant Commissioner Mick Fuller said. “Children are the hidden victims of domestic violence, which is why children feature so prominently in the campaign. There are no innocent bystanders in this space. By reporting domestic violence, you could prevent the next homicide.” The 30-second community service announcement aims at empowering and educating victims of domestic violence to come forward, emphasising the fact that it is not their fault. Please contact us today for your free, 10-minute phone consultation with our friendly and experienced family lawyers.